LEAGUE CITY, TX (KTRK) -- League City police are searching for a missing mother. 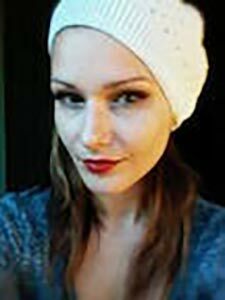 Anne-Christine Johnson, 30, was last seen on Thursday, December 8, 2016, in the 600 block of Chesterfield Lane in League City. Her father reported her missing on Monday, December 12. It is believed that Johnson is wearing an overcoat and pink scarf. It is possible that she may be traveling in a white sedan with a male companion. 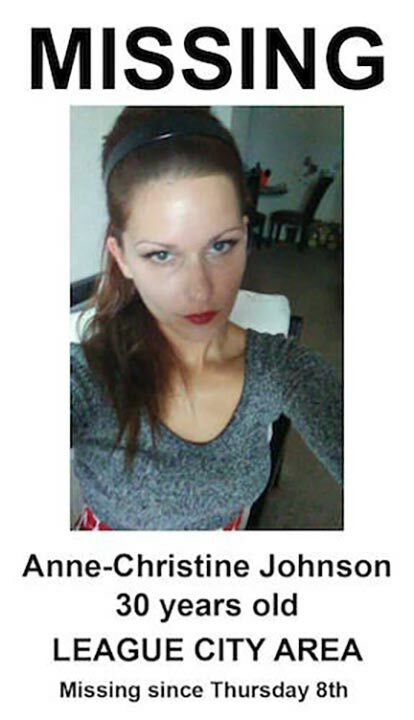 Johnson is described as a white female, approximately 5'2" tall and 110 pounds. She has brown hair and green eyes. Texas EquuSearch has been asked to assist in the effort to find Johnson. Anyone with information is asked to call the League City Police Department at 281-332-2566 or Texas EquuSearch at 281-309-9500.